Hellooooo Summer. It’s suddenly 90 degrees or hotter every day. The thought of turning the oven on to bake something makes me want to melt into a puddle right there on my kitchen floor. With summer comes blueberry season and the blueberries I’ve been getting at the grocery store have been fantastic! Big juicy ripe berries that burst with sweetness. I can’t get enough of them, so I started thinking about what else I could put them in besides my morning yogurt. Muffins? Bread? These awesome Lemon Blueberry Crumble Bars (again)? All good options, but all use the oven and I was in the mood for something different. A friend sent me a link to Paula Deen’s Lime Blueberry Tiramisu and I thought, YES. I immediately loved the concept behind the recipe, but I didn’t love the idea of using pie filling or frozen limeade concentrate. Plus I prefer my blueberries with lemon, not lime. So that’s the story of how I ended up stuffing my face with No-Bake Lemon Blueberry Tiramisu. That’s right, no oven needed. This tiramisu is cool and refreshing. The blueberries are sweet and juicy and the lemon adds freshness and zing. And did I mention it’s cool? It would be perfect to make ahead for a sweet ending to a barbecue on a hot summer day. I made one 8″ round dish with two layers and 2 small glasses worth (pictured) of tiramisu with this recipe. Doubled, it should fit nicely into a 9×13-inch dish and feed a crowd. Either soft or crisp lady fingers will work here. Use crisp if you’d like a little bit of crunch. The lemon syrup is optional – it didn’t add a lot and the tiramisu is still good without it, but it would be good for softening up crisp lady fingers. Four hours or more before assembly, wash blueberries and pat dry. Check carefully and remove any stems or rotten berries. 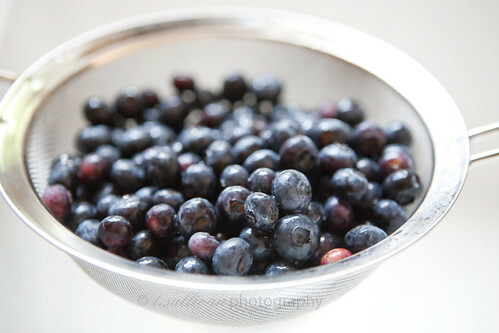 In a medium saucepan over medium heat, combine blueberries, sugar and lemon juice. Bring to a boil, stirring occasionally. Reduce the heat to a simmer and continue cooking until berries start giving off their juices, about 2-4 minutes. In a small bowl, dissolve corn starch in 2 tablespoons of cold water. Add cornstarch mixture to blueberries and stir constantly until mixture thickens. Remove from heat, cool to room temperature, then chill in the refrigerator. Combine water, sugar and lemon peel in a small saucepan over medium heat. Bring the boil, then add the (optional) Limoncello. Boil for 1-2 minutes, until fragrant, then remove from heat. Cool to room temperature. Store in the refrigerator. In an electric mixer, beat together Marscapone cheese and confectioner’s sugar. On low speed, slowly add heavy cream and continue beating until smooth. Add lemon zest, lemon juice and vanilla. Beat until combined. To assemble the tiramisu, place one layer of lady fingers in the bottom of a 1.5 quart (8″ round) dish or trifle bowl, trimming the lady fingers if necessary. If using the lemon syrup, brush the lady fingers with lemon syrup. Spread 1/3 to 1/2 of the blueberry mixture over the lady fingers, then top with 1/3 to 1/2 of the Marscapone mixture. Repeat layering of lady fingers, lemon syrup, blueberry filling and marscapone until no ingredients remain. Cover and chill until ready to serve, up to 1 day. On a hot summer day, the last thing you’d want to be doing is baking , me thinks. That hot hot hot oven! No bake tiramisu? That’s brilliant. I’ll have to try this version. I’m usually not a fan of tiramisu, but this looks light and refreshing. Which is right up my alley! This sounds like the perfect way to add a little bit of summer to some tiramisu! I’ve been loving blueberries lately. I just made some bread pudding with them, but the oven was a LITTLE intense. Love your solution! I love that this tiramisù (accent on the “u”) does not have any alcohol in it. I must try this out! Thanks for posting such a great recipe with AMAZING photos! There is one (optional) tablespoon of limoncello, a lemon liquor, in the syrup but you could definitely skip it, making this tiramisu alcohol free! These look wonderful and so refreshing! I love that they are no-bake – perfect for these hot summer days! 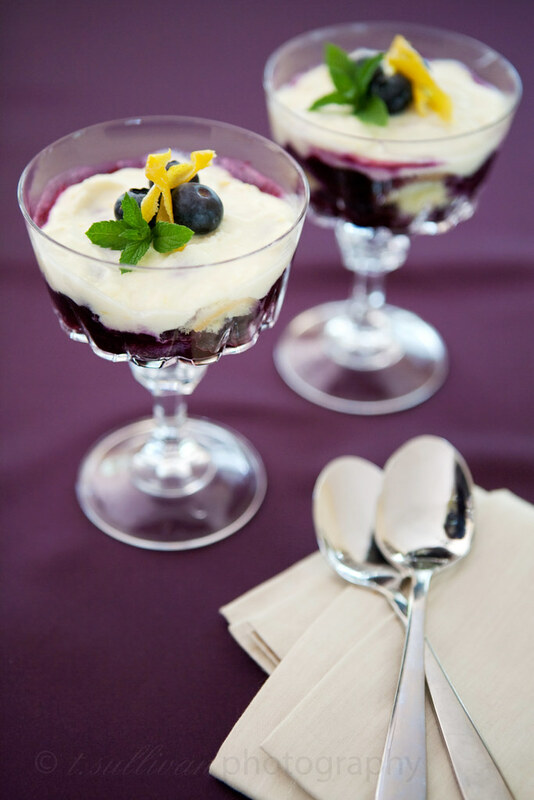 Lemon and blueberries are one of my favorite combinations and this dessert looks perfect for a summer’s day. This sounds so good ~ fresh and delicious!